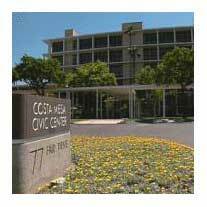 Next week is g oing to be a very big week for the City of Costa Mesa. In fact, it may be the biggest week since it was formed more than a half-century ago. It all begins on Monday, when city officials may make yet another trek to Sacramento with the most recent iteration of their proposal to purchase the Orange County Fair and Event Center. As has been the case with previous trips, it is preceded by weeks of hard work, difficult, intense negotiations and countless hours put in by the city staff and their partner in this enterprise, Facilities Management West. As of late Friday afternoon no official word about a trip was available, but that is the most recent deadline established by the State... we'll see. UPDATE: According to city officials at 5:00 PM Saturday, NO trip is planned to Sacramento on Monday. Seems there are delays on the State's end. I'll report more when I know more. This trip, however, will be un der a cloud of apprehension. This time our negotiators will be presenting a proposal that, through no fault of their own, may be dead on arrival. Regardless whether the City presents an outstanding proposal to representatives of the State, there is a strong possibility that it will never see the light of day. And you can blame this directly on lame duck Mayor Allan Mansoor. Following his recent pointless proposal to pass a resolution to declare the City of Costa Mesa a "Rule of Law City" - which passed 4-0, with Katrina Foley wisely absent from the dais - the effluent hit the oscillating device. As I predicted, members of the Latino caucus of the California legislature have stated openly that, because of that resolution, the caucus will do all in their power to block the sale of the Fairgrounds to Costa Mesa. SALE HELD HOSTAGE BY LATINO CAUCUS? Once ther e is a deal acceptable to the State, the legislature must pass legislation to name the Joint Powers Authority - which is currently just the City Council in a fancy dress - as the 32nd District Agricultural Board, replacing the current board. Without that legislation the deal cannot move forward. The Latino caucus doesn't really have to defeat such a bill, it just has to keep it locked up in committee - time is on their side. If it's clear that no bill is forthcoming it is logical to assume that the governor, through the Department of General Services, will open up the whole issue for bidding again. With this specter staring us in the face, there is even more reason to vote YES on Measure C, which locks in the current zoning of the Fairgrounds. That vote takes place Tuesday, June 8th. And, on that date, the City Co uncil will hold it's Budget Study Session, which promises to be one of the most heavily attended and most contentious in recent memory. Notices of layoff have already gone out this week to the full time and part time staff members on the previously published list. Legal noticing requirements prompted the full-timers to be issued the notices 30 days before they become effective. It is anticipated that, due to the expected crowd for the study session, it will be moved from Conference Room 1A to the City Council Chambers, where there is ample se ating. If that happens, the proceedings will be televised live on CMTV, Channel 24 (99 on U-Verse). EVEN SMITH AND I AGREE! Do you want to know how bad this budget issue is? Well, it's so bad that even Daily Pilot columnist Steve Smith and I actually agree on it! You can read his most recent pronouncement on it HERE. This year the C ity enlisted the residents in the process, providing a "prioritization" exercise to help guide the discussion on Tuesday. Council members were asked to participate, too, and the results of their individual sheets will, theoretically, be made public. I thought there might be a dozen or so residents who cared enough to actually go through the process and submit forms. WRONG! By last count yesterday, more than 250 forms have been submitted and compiled. You can read the staff report on this process and view the summaries attached to it HERE. Now, in theory this is a great idea. However, this year it will be an exercise in futility because ALL the items we were asked to prioritize WILL BE CUT, regardless the outcome of the exercise. And that only gets us half-way through our deficit. We still need to find another $8 million somewhere. As I said above, this is going to be a blood bath. Last year's budg et deliberations were painful. This year the decisions our elected leaders will be faced with are Solomonesque - except they don't have the wisdom to pull it off. During the past year most of the flesh left on our municipal carcass was sliced off in the form of terminated programs and staff reductions. This year all that is left is the skeleton, so the City Council will be deciding which appendages are more expendable than others. Do we cut a finger or a toe? Do we cut both? Is amputation of the left leg below the knee more desirable than chopping off the right arm below the elbow? These are the kinds of decisions they face. And, of course, this situation is exacerbated by the history of this council when it comes to considering increasing fees and/or taxes. As a group, their knee-jerk reaction has always been a resounding "NO!" when requested to place an increase in the Transient Occupancy Tax or Business Licenses on the ballot for the voters of this city to consider. Our city has not had an increase in significant revenue sources in 20 years! We rank at or near the bottom on every source. Our TOT is the lowest in the county, as are our Business License fees. Even though placement of the questions on the ballot doesn't guarantee passage, at least the voters of this city will have a say in the matter. Mayor Mansoor has bee n the leader of this shortsightedness. His behavior, particularly recently with his bizarre political moves, demonstrates clearly to me that he really doesn't care what kind of a disaster he leaves in his wake when he moves on following this November's election. One way or the other - whether he is elected to the Assembly or not - he will leave a trail of destruction in this city akin to Sherman's March To The Sea during the Civil War. It's well past time for him to wise-up and realize that, all the political rhetoric aside, the City simply cannot provide even minimal services without new revenue sources. Now, I know he's not the sharpest arrow in the quiver, but even first generation American elementary school youngsters can do the math on this one. And, on Thursday there is a community budget workshop scheduled t o present information and answer questions for any and all residents who show up. Until last year only two or three people showed up for this meeting. Last year there were a dozen. However, since the budget study session occurs in an expanded venue a couple days earlier, it's likely that there will be another poor turnout this time again. It's going to be a long, tough we ek for the city staff. Following the budget study session they will likely have to revisit many of their plans in preparation for the final budget vote on June 15th. Having been personally involved with last years negotiatios (or lack of) is a better way to describe them, I can bet that the Employee Assn's are not going to be interested in more furlough days or concessions. The employee assn's have lost faith, and more importantly the TRUST of Management. How about laying off some of the six figure Manager's/Dept. Heads ? Might even save a few of the "line staff" jobs. What a concept ! It's too bad that the people at the "bottom of the food chain" pay the the price for Managements lack of fiscal planning and responsability.